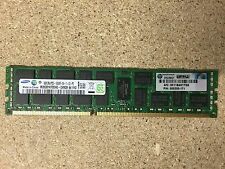 Hynix 32GB (4x8GB sticks) PC3L-10600R Server Memory - HMT84GR7MMR4A-H9. Condition is Used. Taken from working machine, sold as individuals. 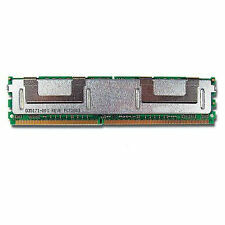 PC3-12800R DDR3-1333- 1600MHz ECC. DDR3 1600MHz. DELL : Lenovo : IBM : HP : CISCO : Supermicro : ASUS : Apple. Module capacity 8GB. Module Capacity 8GB. IBM System x3400 M2 7836, 7837xxx: IBM System x3400 M3 7378, 7379xxx. 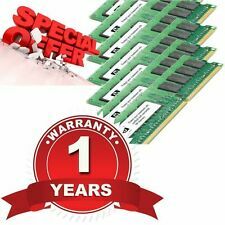 The price is for one module (8G RAM). Form Factor. Error Correction Code. Used, but working. 14 pieces available. Free UK Postage. DELL Part Number R6JR0. 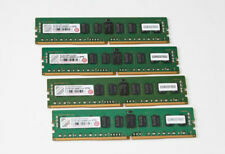 4x8GB PC3-12800R 2Rx4 ECC REG. 32GB for DELL Poweredge Servers. Founded in 1981, we are expert suppliers of new and refurbished HP IBM and DELL server hardware. Why buy refurbished hardware from RockHall?. 64GB (8x8GB Samsung Dimms). PC3-12800R 2Rx4 ECC REG. Founded in 1981, we are expert suppliers of new and refurbished HP IBM and DELL server hardware. Why buy refurbished hardware from RockHall?.